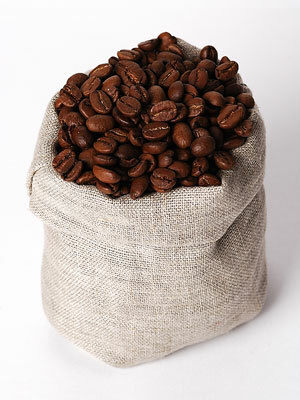 Rich, dark brown coffee beans are photographed in a small burlap sack on a white background. Before they can be enjoyed as a beverage, these coffee beans will be ground using special equipment. Once ground, they will be brewed with water to result in coffee.